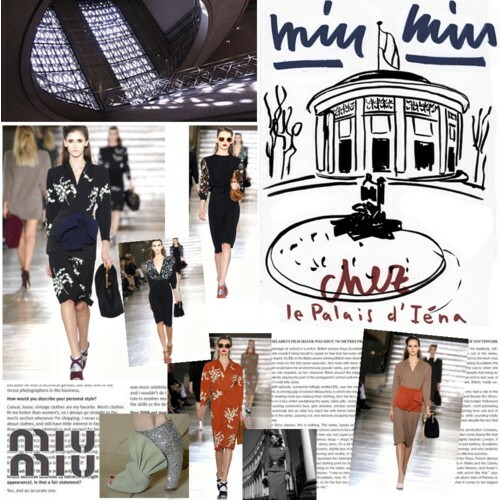 The Miu Miu F/W 2011 show took place at the Palais d’ Iéna in Paris, the seat of the Conseil Economique, Social et Environnemental (CESE). 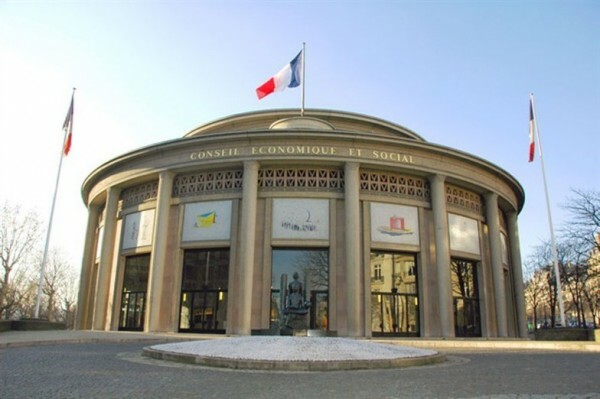 It was the first time that the Palace’s spaces, which were designed by the famous architect Auguste Perret, were used for a fashion show. With its striking views of the Eiffel tower, the location was just perfect for a collection that transported the audience back to World War II-era Paris. But it wouldn’t be Miuccia Prada if she didn’t surprise us. The retro vibe was definitely there but absolutely modernized. The bare legs of the models ended in super sharp glitter sandal booties. Mink was twisted around the hips and the clutch bags looked like gigantic coin purses. The silhouettes were no doubt `40s with bold-shouldered jackets and slim pencil skirts. 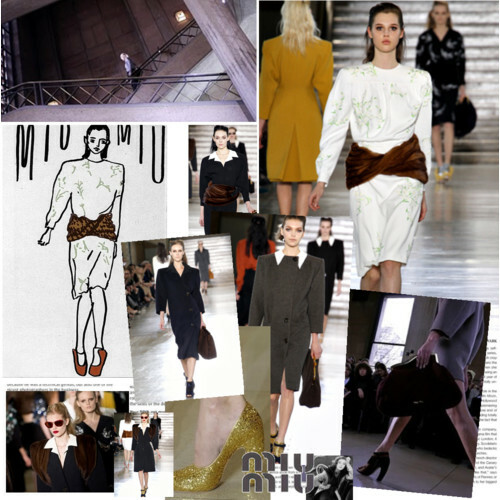 It was a very grown-up Miu Miu collection. The show’s front row was filled with young celebrities. Actress Hailee Steinfeld, who is only 14, is said to be Miuccia’s new muse. 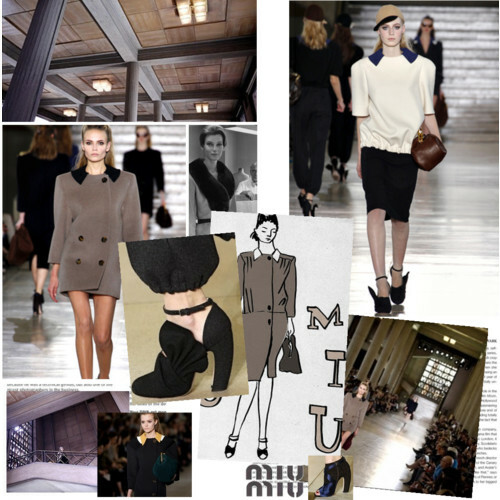 All those young ladies looked fabulous in Miu Miu’s S/S 2011 collection. Please enjoy the photos before the show.